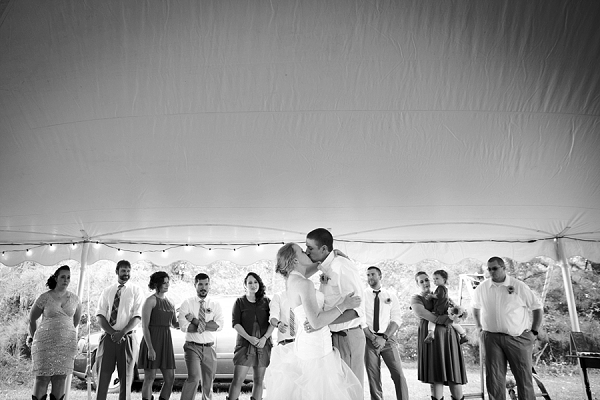 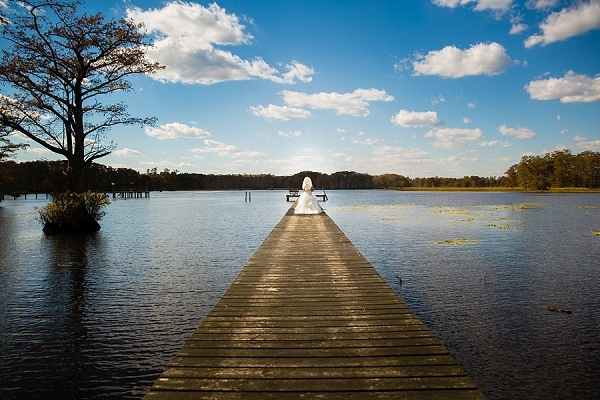 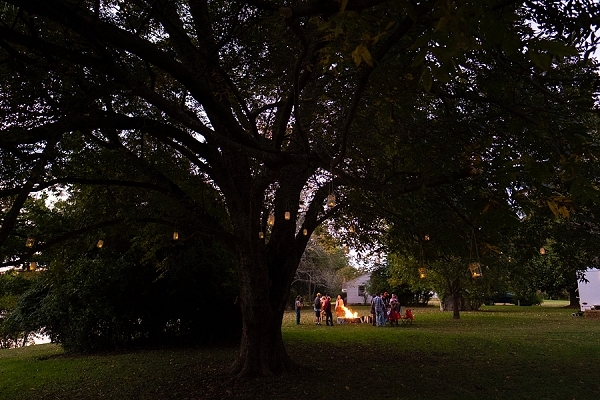 Backyard weddings are one of the many perks of getting married in Virginia, and on a beautiful day when the setting sun gives way to a perfect night sky, nothing makes us feel more at home. 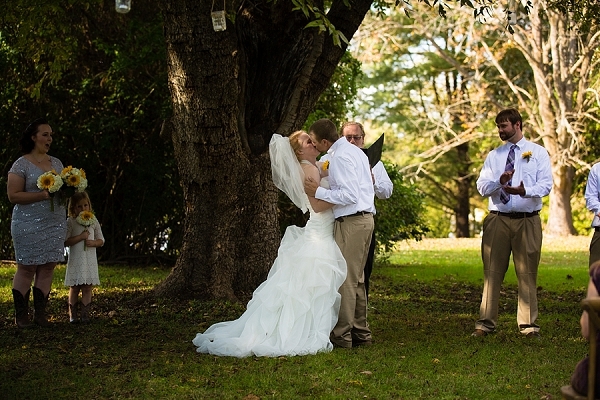 And that's why Angie and Lee decided to tie the knot under the far-reaching branches of a tree in Charles City. 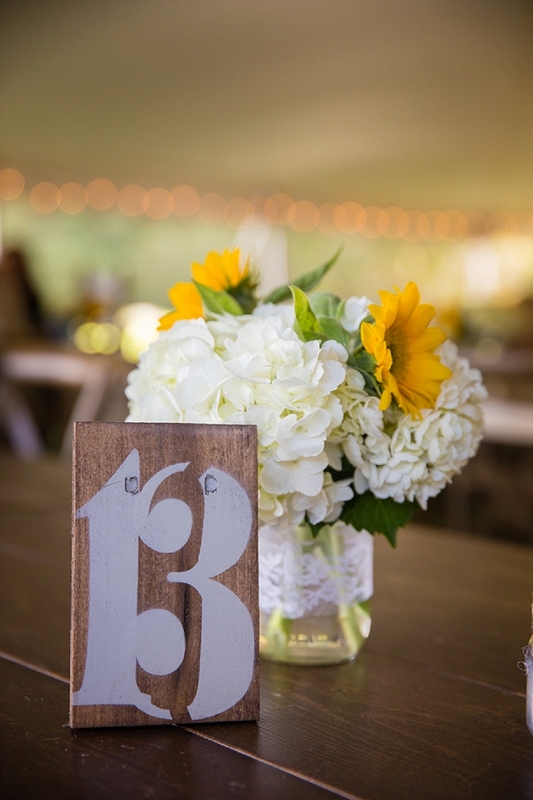 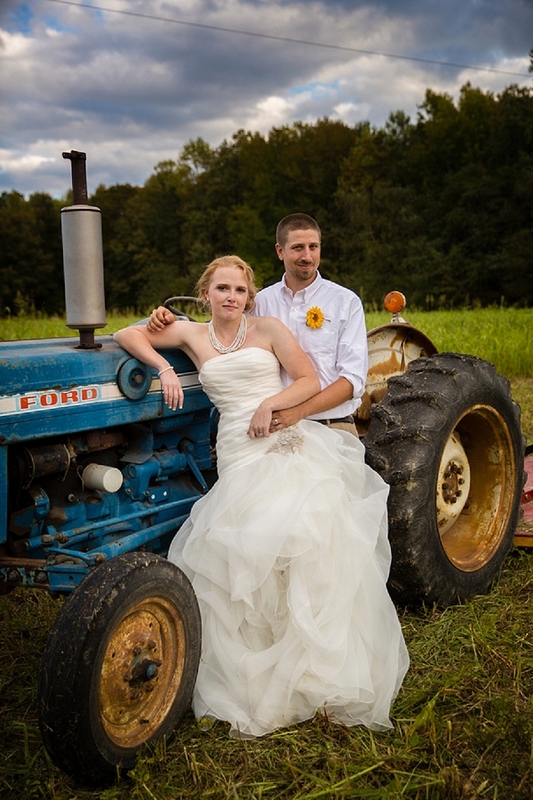 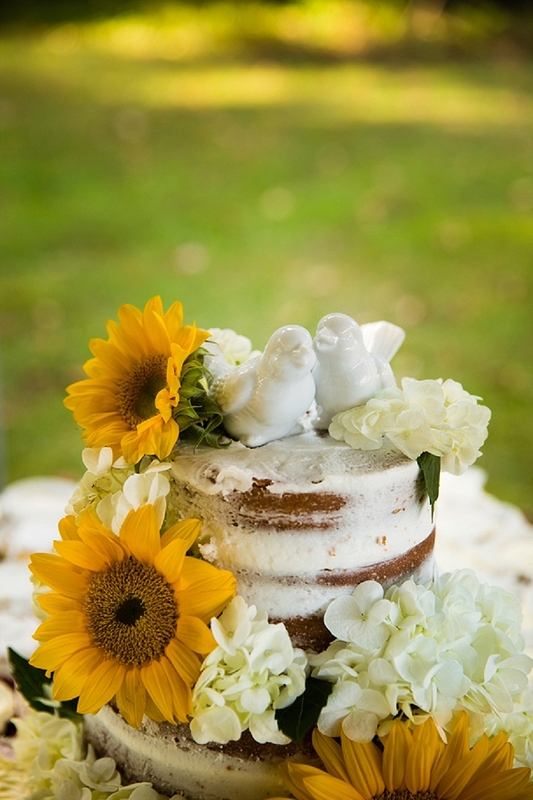 Their country wedding tied in simple, rustic décor with DIY touches and personal family memories. 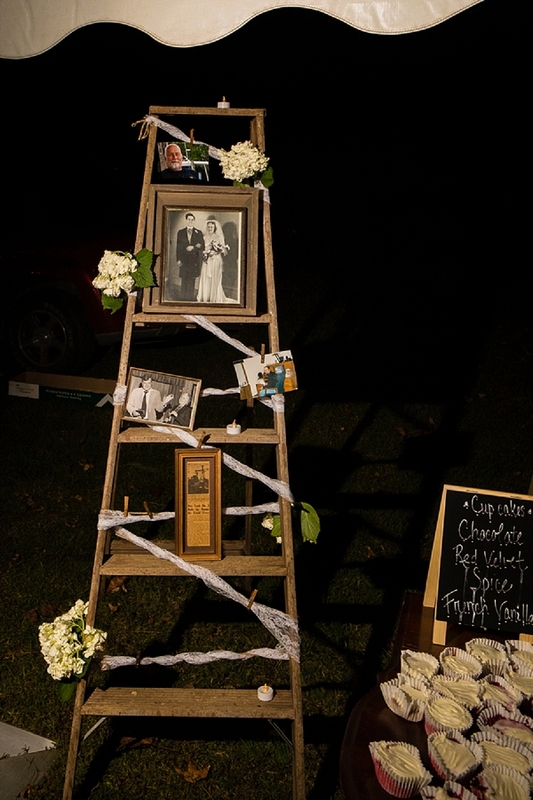 One of our favorite details in this wedding is the ladder covered in family photos that speak to the past, present, and future marriages in this new family and their lives to come. 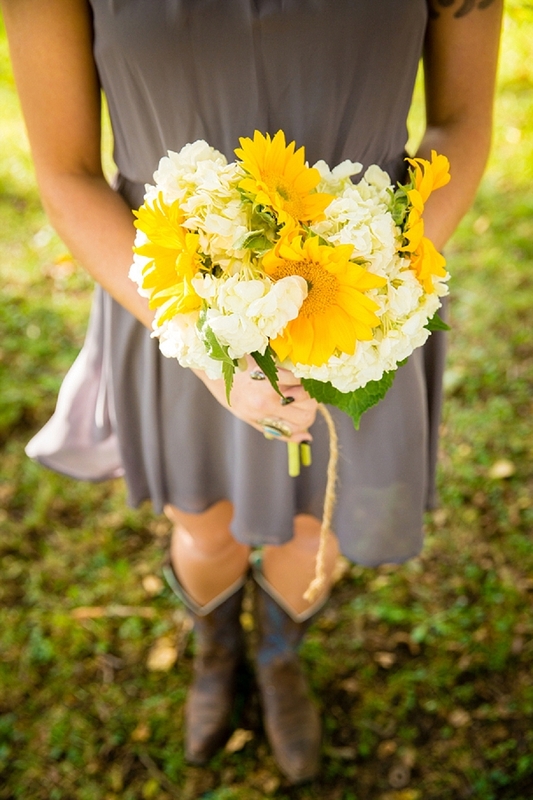 Captured by Tiltawhirl Imagery, the gorgeous blue sky set the backdrop for the ideal setting for portraits, the sunflowers added a pop of color to an already perfect day, and the down-home feel of a bonfire crackling ended the wedding celebration in a fitting manner.